Company Profile - SEDECO USA, INC.
We are committed to increase customer benefits through supplying quality products backed up by fine work of each individual employee. Consequently, we will be able to grow by practicing the above and aim at pursuing enrichment of employee’s living standard. SEIDENSHA ELECTRONICS CO., LTD was first established as Seidensha Seisakujo in 1924, producing and selling both cable and wireless communication machines. In response to the rapid development of the plastic industry in early 1950s, Seidensha started producing high frequency welders and high frequency sewing machines and developing and applying electromagnetic energy to plastic processing. 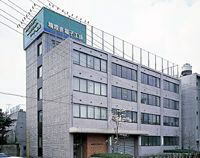 Due to their success in the plastics market, Seidensha Electronic Co., LTD was created in July 1956 and built a new factory in preparation of production systems. Seidensha publicized the world’s first Ultrasonic Plastic Welder and Ultrasonic Sewing Machine at the Tokyo International Trade Fair in 1961. Based on their patent No.250121, Ultrasonic Exothermic Adhesion, they were widely used because they could process all thermoplastic resins and were highly productive. Seidensha followed with the development of the Carbon Dioxide Laser as the third energy in 1973, and developed the Electronic Induction Welder as a new application of high frequency energy in 1977. In 1984, Seidensha publicized the first NC Laser-processor, and finally established the technology to use the three major waves, Electromagnetic, Sound, and Optical, for plastic processing. In 1985, they enlarged their factory and built a new main office/factory building. Meanwhile, they continued to exert themselves in system and digital technology. Along with the development of several kinds of automatic systems and consolidated processing systems, Seidensha developed the Computer-Controlled Fully Automatic Metal Chain Welding System and the Computer-Controlled Waterproof Sheet Welder in 1989. In 1994, Seidensha expanded their business to such fields as welding monitoring equipment and image applied measuring equipment. In 1996, Seidensha developed the digital-ultrasonic welder, the SIGMA Series, a machine representing the concept of the next generation, which united their enormous knowledge and know-how with modern sensor and computer technology. Seidensha accomplished innovative high quality and precise welding machines, which had never been realized before. Seidensha continued to break new ground by developing the SONOPET 300S series of light weight, high energy portable welders in 2003. The 300S series is a vast improvement on older, portable welder designs and has continued to evolve with the release of the 303S models in 2007. Seidensha has also begun mass production of their new SIGMA 630 B units, which break further boundaries beyond the 300S series. We have been working as a reliable consultant and unique manufacturer that can generally provide welding and joining equipment and applied processing technology for plastic materials. The foundation of the company is based on their many patents and accumulated know-how developed from their research and development system and collaborative development based on their close relationships with public universities across Japan. In Japan, Seidensha prides itself on the highest productivity of plastic welding and fusing equipment, the highest shipment of products and the highest number of actual working machines.